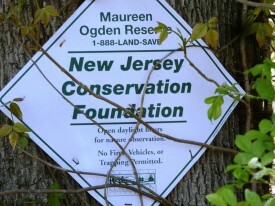 Share the post "Former NJ Legislator Maureen Ogden Supports Rutgers Environmental Stewards Program with Charitable Gift"
Sign for Maureen Ogden Reserve, located in East Hanover, Morris County. Photo courtesy of Pat Rector. By Pat Rector, Environmental and Resource Management Agent, Rutgers Cooperative Extension. Reprinted from Green Knight newsletter, May 2014. The Rutgers Environmental Stewards program is the beneficiary of a $50,000 charitable gift annuity from renowned environmentalist, conservationist and former New Jersey Assemblywoman Maureen Ogden. Ogden chose to provide the gift to the Rutgers Environmental Stewards Program because it encourages citizens to take an active role in improving the environment in a boots on the ground way. The program’s founder, Rutgers NJAES Cooperative Extension County Agent Bruce Barbour, announced that the program was honored by the choice and added that “a gift like this coming from a person of the stature of Ms. Ogden has special meaning,” and that “Ms. Ogden was a breed of leader who we need today.” With the funds from Ogden’s donation, the Rutgers Environmental Stewards Enrichment Fund has been created to help the program continue to grow. The fund will be used in a variety of ways, including providing mini-grants to program participants to improve the impact of their intern projects. The fund will also meet the needs of the next generation of environmental stewards by expanding on resources, utilizing technology like webinars, and creating national models that can be duplicated at other land-grant universities. The Rutgers Environmental Stewards program was formed partially in response to the fact that New Jersey will likely be fully built-out within thirty or forty years, making it the first state in the nation to achieve this distinction. 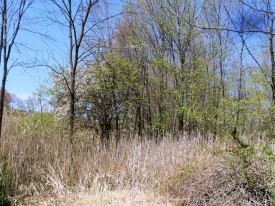 State, county and municipal governments have done a great job purchasing open space, but that land must be managed. This task may be filled and aided by knowledgeable volunteers. 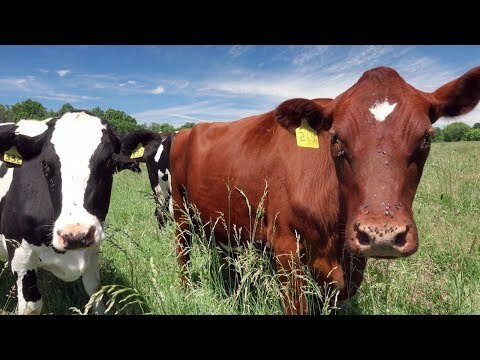 Beyond this immediate issue, the program teaches the ways of science to non-scientists and informs them of the science behind current environmental issues. Armed with this knowledge, they are asked to become involved in their communities doing projects or internships that result in tangible and measureable improvement in the environment. Maureen Ogden Reserve, Willow Place, located in East Hanover, Morris County, NJ. Photo courtesy of Pat Rector. The Rutgers Environmental Stewards program has increased in scope this year, reaching a larger audience by adding two new locations in Passaic County and Middlesex County, and offering evening classes for working audiences. The Honorable Maureen Ogden served as New Jersey State Assemblywoman from 1982 to 1996. She participated on the Northeast New Jersey Water Policy Advisory Committee, and helped to focus on water resources in the 1970’s. She helped the Township of Millburn become one of the initial members of the Passaic Valley Ground Water Protection Committee. Ogden graduated with an M.S. in Public Planning from Rutgers Bloustein School. As Assemblywoman she held many positions, including environmentally related positions such as Chair of the Committee on Conservation, Energy and Natural Resources, 1985–1989, and Member of the Conservation and Natural Resources Committee, 1989–1995. Ogden has much to her credit in legislation that has helped to shape the New Jersey landscape, including protecting open space, endangered species, water and air quality, and promoting historic preservation and the arts. During her years in the Legislature Assemblywoman Ogden sponsored 4 multimillion dollar bond issues that culminated in 1995 with a $350 million dollar bond issue to acquire open space and preserve farmland and historic sites. After her retirement from the Legislature in 1996, Governor Whitman appointed Ogden Chair of the Governor’s Council on New Jersey Outdoors with the charge of assessing New Jersey’s open space needs and recommending funding to achieve the goal of preserving one million acres. In 1998 New Jersey voters amended the state constitution to provide a stable source of funding that was administered by the newly created Garden State Preservation Trust with Maureen Ogden as its first Chair. The dedicated funding from the state sales tax enabled the Trust to appropriate $200 million dollars annually to preserve open space and enrich the quality of life for New Jersey residents. It is this dedicated stable funding that the Legislature is currently seeking to renew with the leadership of Senators Smith and Bateman. After leaving public service Ogden did not leave public life completely or abandon her dedication to the environment. As a member of NJ Keep It Green, a coalition of 185 park, conservation, agricultural and historic preservation groups, she has been an advocate for preservation programs and funding. She has also been an eloquent voice for the Highlands and called the loss of the state’s natural lands “a quiet crisis, because animals and plants cannot cry out.” Ogden currently serves on the Board of Trustees for the New Jersey Conservation Foundation and is a Board Member of The Nature Conservancy. And now, with her gift to the Rutgers Environmental Steward Program, Ogden further enhances her legacy to the people and the environment of New Jersey. A charitable gift annuity allows the donor to receive income payments for the rest of their life. If you are interested in learning more about how you can support the Rutgers Environmental Stewards Program or other programs at Rutgers please contact Rachel Karl at karl@njaes.rutgers.edu, or (848) 932-3593. The charitable donation of former Assemblywoman Ogden assures the continuity and expansion of the Rutgers Environmental Stewards. The program coordinators and alumni are very grateful.